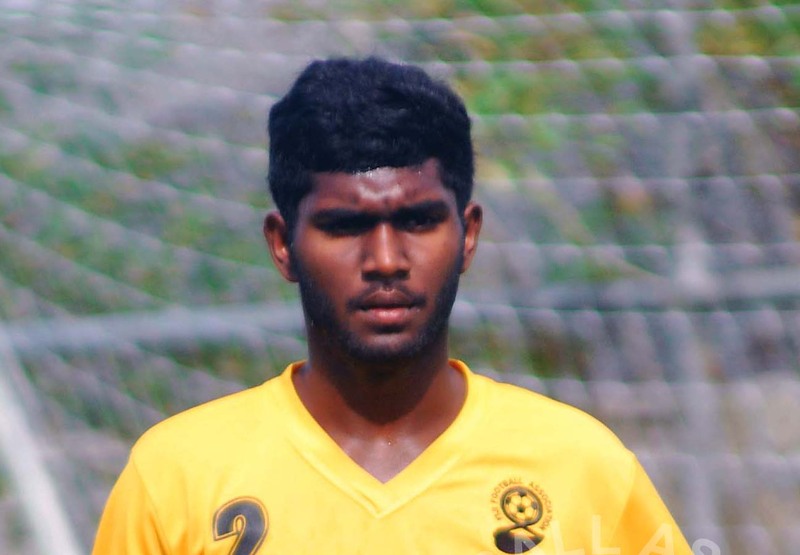 Seventeen year old Manav Permal is the youngest member in the Vodafone Fiji national team squad. He is a form six student of Vashist Muni College and hails from Wainividoi, Navua. He made his debut for the national side against Solomon Islands in the first leg of the international friendly at ANZ Stadium last Thursday. Permal said he very proud to be part of the national team as this young age. “I know it is tough to compete against some senior players but I will do my best to prove myself, “he said. He thanked coach Christhope Gamel for seeing his talent. “I must thank coach Gamel for giving me chance to be part of the team.”Permal said. The Navua youth rep said he was always supported by his family in his football career. The seventeen year old said it was like a dream come to true for him and his family. “My family and I had a dream to play for the nation and today it has been fulfilled and I thank almighty for the strength and courage. The Vodafone Fiji national side will play New Caledonia in the FIFA World Cup Qualification-OFC Stage 3 Round next Wednesday at Churchill Park in Lautoka at 4pm and the return leg will be in New Caledonia on Sunday June 11.